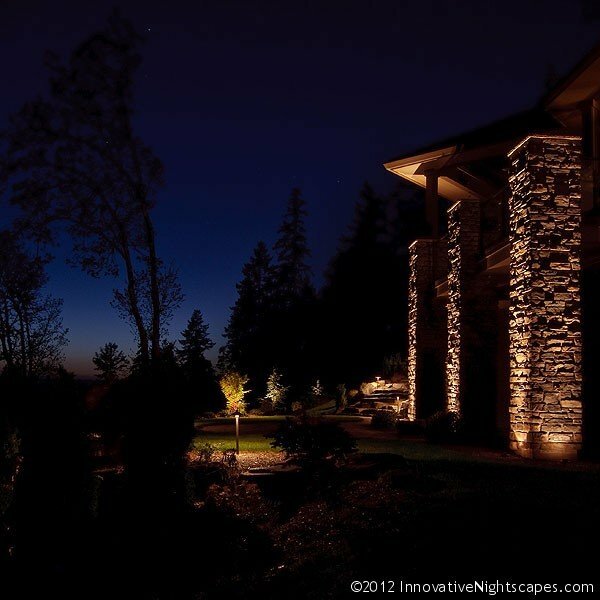 Why Use a Professional Outdoor Lighting Design Firm? Why Go with a Pro for your Outdoor Lighting? You’ve just spent serious energy and resources to create the perfect outdoor living space you’ve always dreamed of. Your favorite sculpture now lives in the ideal location where it can be viewed from many different angles and perspectives. That favorite specimen tree can now be observed from inside your home as well as outside, as it performs its spectacular transformations throughout the seasons. You now have the coolest outdoor kitchen and dining space in the neighborhood. And now you’ve decided to add outdoor lighting to bring your favorite landscape elements to life after dark. How are you going to get that done and be thrilled every time you gaze out into your gardens after dark, or every time you entertain? You might start with an internet search and most likely would be overwhelmed with all of the choices to choose from. Where do I start, what kind of lights do I choose? What’s good, what’s not good? Line voltage vs. low voltage? What’s that really mean? You might look at the selection of lighting equipment available at the home improvement stores and decide that these products don’t really feel or look like the quality of products you’ve required on other projects. You sought out the help from other professionals to meet the expectations you set for your projects. And you should do no less when lighting the spaces you’re so proud of. A trained and certified architectural and landscape lighting designer will know all of the right questions to ask you when deciding how best to light your space. Your lighting designer will take a personal interest in how you want to use your space, and the features and elements that are most important to you. A skilled designer will help you discover how you would like to view these elements, be it dramatic or subtle, or the many wonderful options in between. A professional outdoor lighting designer understands how the human eye works. This is critical when designing outdoor lighting scenes. Having a basic understanding of what your eyes are actually doing when reacting to light and dark gives your designer the ability to create night time scenes that will gently and gracefully draw the viewer’s eye through the scene, from the beginning to end of the scene, and in many cases into the next scene. When our eyes function comfortably and relaxed, without strain, that calmness transfers to the rest of the body almost instantly. Starting the design process from here builds the foundation for a quality project that you will be thrilled to view and share every night of the year. A good designer will also teach you how we are creating scenes to be viewed from inside the home as well. Where we are used to seeing a dark window or more likely a reflection of what’s inside, our eyes will now be drawn beyond the reflection of the glass and out into our gardens again, creating new perspectives we had not considered before. 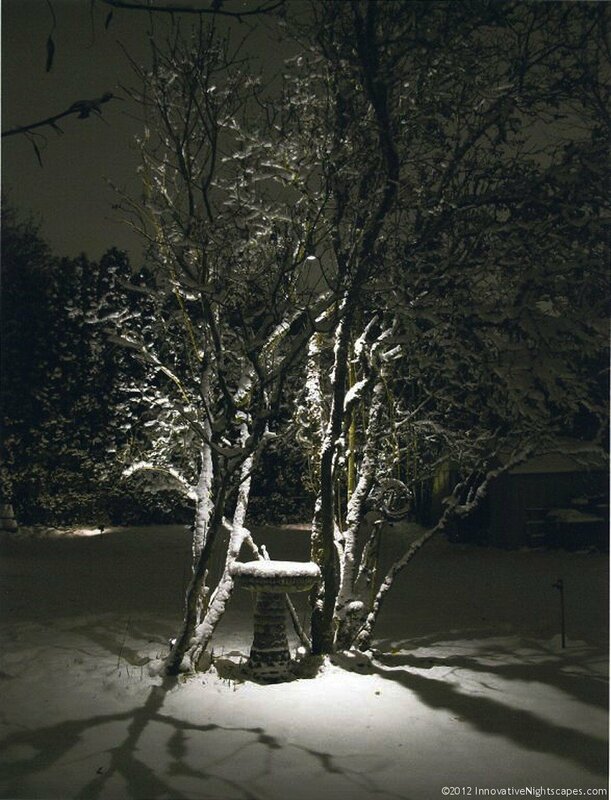 Observing the changing of the seasons at night, through the use of light and shadow, and from the comfort of your home, is very relaxing and spectacular. A skilled designer will bring beautiful views into your home as well as out. With a designer you will get product and technology education. The market is flooded with outdoor lighting products. There are literally products for every budget. Your designer has already done the homework and knows what the best products are to fit your budget and project. The technology is always changing so top designers are up on all that’s new and will have relationships with manufacturers receiving their latest offerings before the rest of the marketplace. A professional outdoor lighting designer will be well versed in the latest switching and timing technologies and products. Having help to navigate through the maze of available lighting products will help you select quality products that will last a lifetime and are suited specifically for your project. So where can the average person turn to find a professional and certified architectural and landscape lighting designer? A great place to start looking would be professional associations such as the AOLP (Association of Outdoor Lighting Professionals). Professional associations attract individuals dedicated to improving their personal skills as well as delivering the highest quality products to their customers. These designers have invested huge amounts of time and money to participate in the organizations in continuing efforts improve the industry as a whole. When quality is the only option for your outdoor lighting project, you can always rely on a professional outdoor lighting designer to guide you smoothly through, from beginning to end, night after glorious night! Paul Welty, owner of Innovative Nightscapes, is a certified lighting designer and member of AOLP. If you’d like more information on how your outdoor spaces can be turned into livable places at night contact us.